In Persian tradition, the wedding ceremony includes a Sofreh-ye Aghd, or a cloth with items to celebrate the marriage contract. 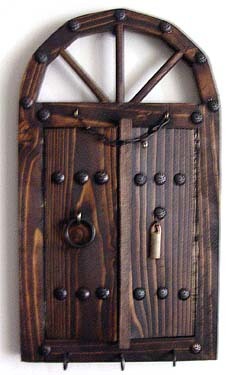 The sofreh always includes the Aayeneh-ye Bakht, or "mirror of fate." 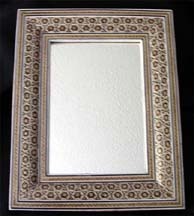 Zoroastrians place a candle on either side of the mirror. Together, the mirror and candles represent bringing light and brightness into the relationship. 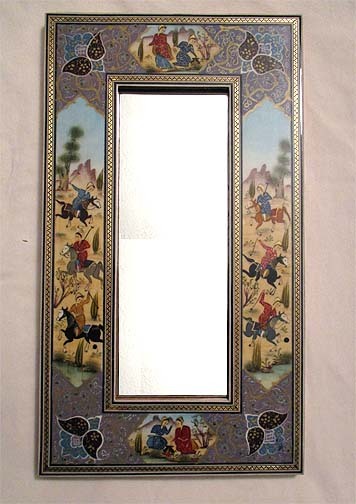 In all Persian customs, the mirror is photographed with the bride's reflection showing to bring good luck. These mirrors would make excellent bridal shower gifts!